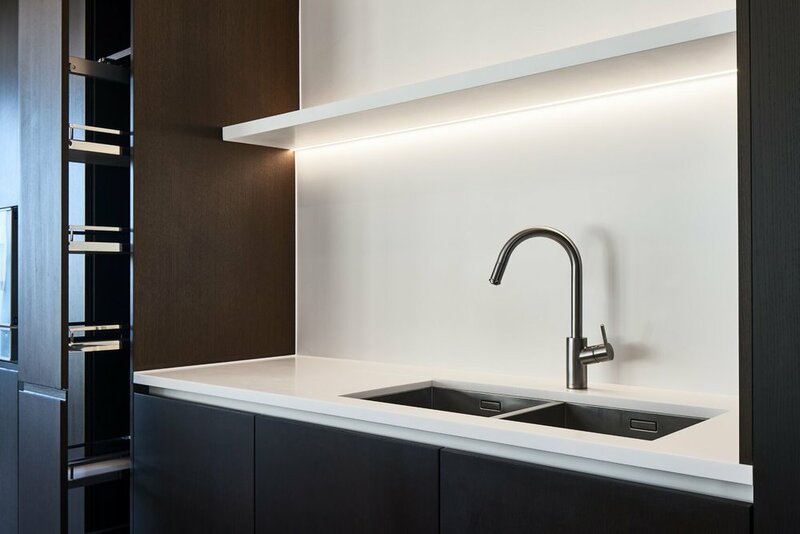 As Solid Surface Fabricators, specialising in the seamless installation of Corian worktops, it seemed only right that the architects working on these palatial, luxury apartments asked us for bespoke kitchen design for their Utopian vision. They choose Corian as their preferred Solid Surface material, opting for white on the countertops and surfaces, yet shaking things up a bit by choosing marble effect colours on some of the Corian kitchen islands, which gave the room a really nice contrast. Not all kitchens in the overall vicinity matched, as they wanted to create some diversity across the apartment ranges. With white overhead lighting, the dazzling finish was stunning.